Hank Nordhoff currently serves as Chairman and CEO of Banyan Biomarkers, Inc. a biotech company developing a blood test to objectively diagnose traumatic brain injury. Previously, he served as Executive Chairman of Cypher Genomics a company that provides automated genome interpretation. Cypher was acquired by Human Longevity, Inc. in 2015. He served as President and CEO of Gen-Probe, Inc. a leading public molecular diagnostics company, for fifteen years until his retirement in May 2009. From 1994 to 2001, he simultaneously served as President, Chairman and CEO of Chugai Biopharmaceuticals, Inc. Gen-Probe was acquired by Hologic for $3.7 billion in 2012. Prior to joining Gen-Probe Inc., Mr. Nordhoff served as President and CEO of TargeTech, Inc., a gene therapy and anti-sense company. Prior to that he served as President and CEO of American Biogenetic Sciences, a monoclonal antibody company. Mr. Nordhoff began his career at Pfizer Inc. spending his first 11 years overseas in senior positions in Brussels, Seoul, Tokyo and in New York. He currently serves as Chairman of Chugai Pharmaceuticals US Operations and chairs the International Council. Mr. Nordhoff is also a board member of MannKind Corporation, a company selling inhaled insulin. In the non-profit world, he currently serves as Chairman of The Sanford Burnham Prebys Medical Discovery Institute and is a board member of the Prostate Cancer Foundation, the Moores Cancer Center of UCSD, The Jacobs School of Engineering of UCSD, The Rady Children’s Hospital, The Rady Children’s Institute for Genomic Medicine, and the Kyoto Prize Symposium. 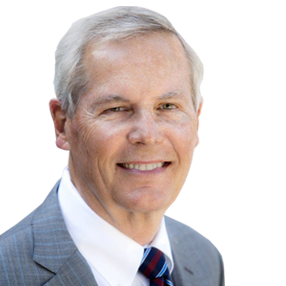 He is a past Chairman of the San Diego Regional Economic Development Corporation, past Chairman of the California Healthcare Institute and a former member of the Delta Stewardship Council appointed by Governor Schwarzenegger. Mr. Nordhoff received his BA in International Relations and Political Economy from Johns Hopkins University, served three years in the Navy, and earned an MBA in International Business and Finance from Columbia University.